Take the hugest step on the path to your most radiant self making Love your bottom line. Don’t be fooled that how you do one thing isn’t how you do everything. The happiness quotient in our life is directly related to the promises and commitments we make and break to ourselves. 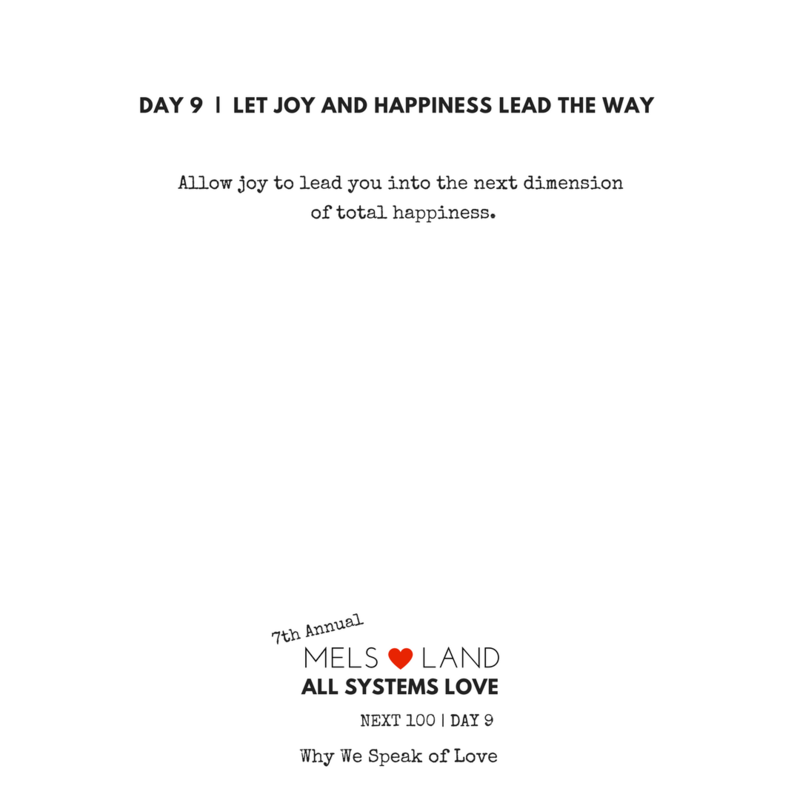 Allow joy to lead you into the next dimension of total happiness. I am impeccable with my word with Infinite Love and Gratitude. It isn’t always easy to understand words it is however a feeling an energy of the heart an awakening that transcends the known and unknown the visible and invisible and works its way into being. Mel is a writer, love activist, renaissance woman and curiosity aficionado. 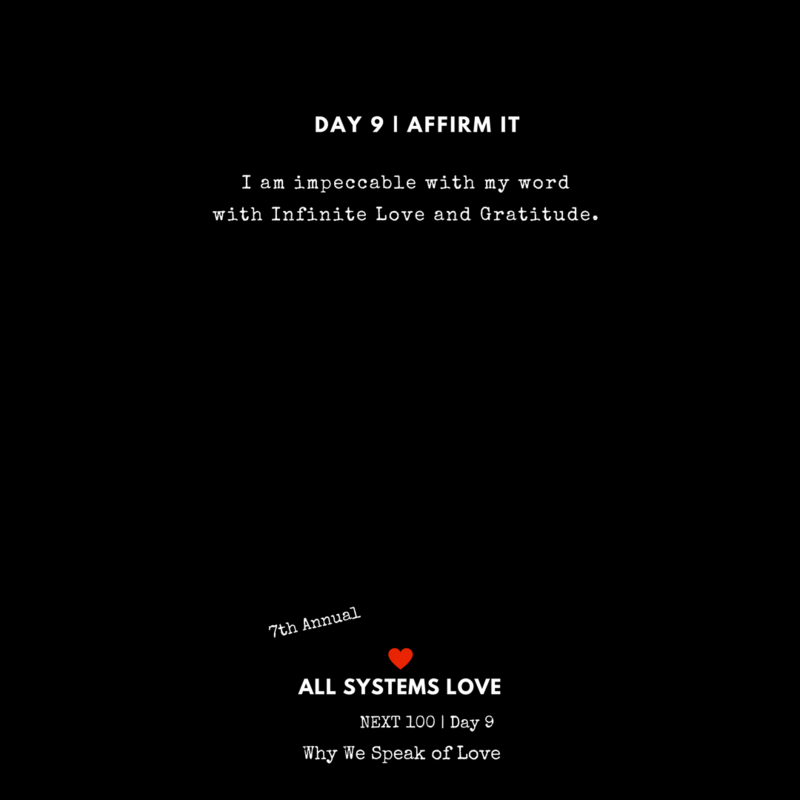 Subscribe to the All Systems Love movement here. 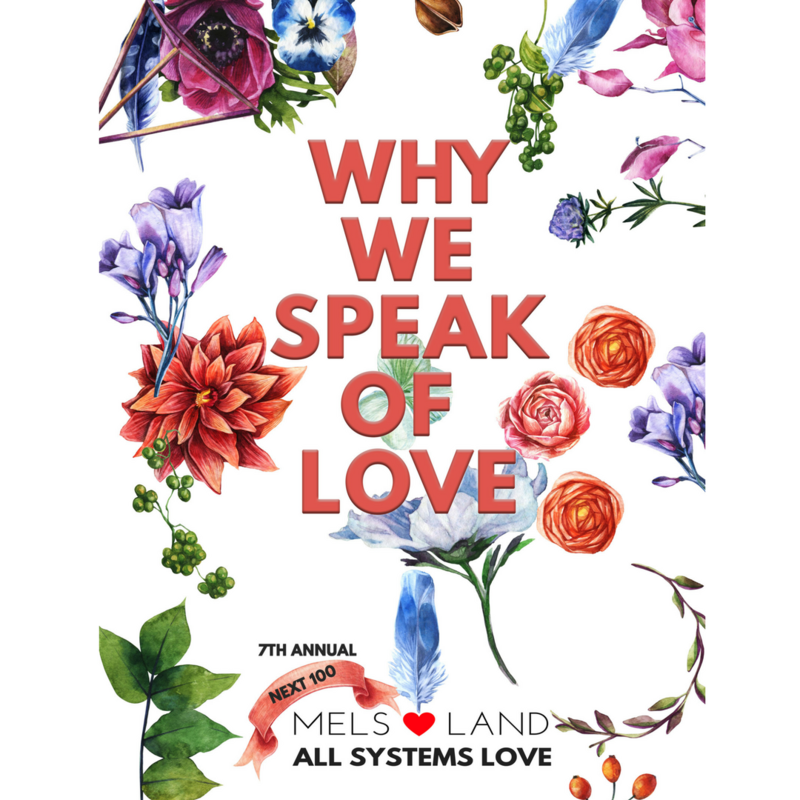 For more information on Mels Love Land: All Systems Love click here. 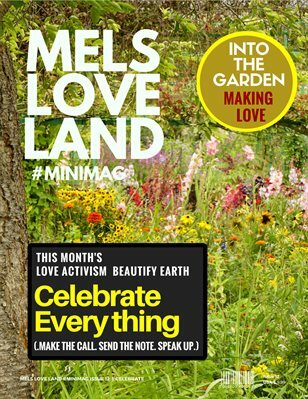 As the world spins and we take loving action, issue 12 of Mels Love Land asks you to celebrate everything.